Space Matrix was founded in April 2001 in a tiny shophouse in Singapore. Today it is known as a major player in workplace design,with offices in 13 locations (Singapore, Sydney, Melbourne, Bangkok, Hong Kong, Shanghai, Hyderabad, Chennai, Bangalore, Mumbai, Pune, New Delhi and New York) and project experience in 40 cities. Not bad for 17 years. 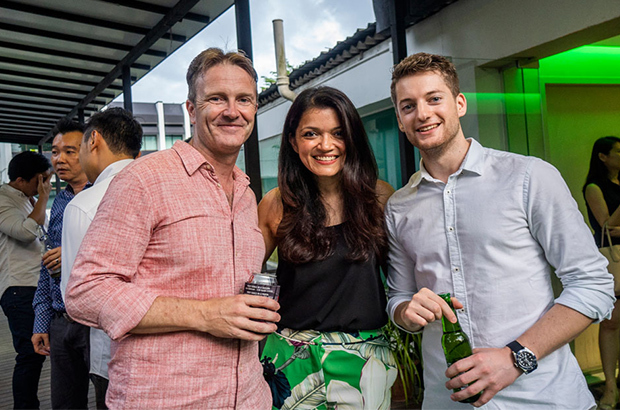 The Team at the Singapore HQ celebrated with a BBQ in the garden of its newly renovated office in Phoenix Park on 13 April 2018.